We believe in the power of collagen to promote gorgeous skin, strong hair and nails, and beauty from within. 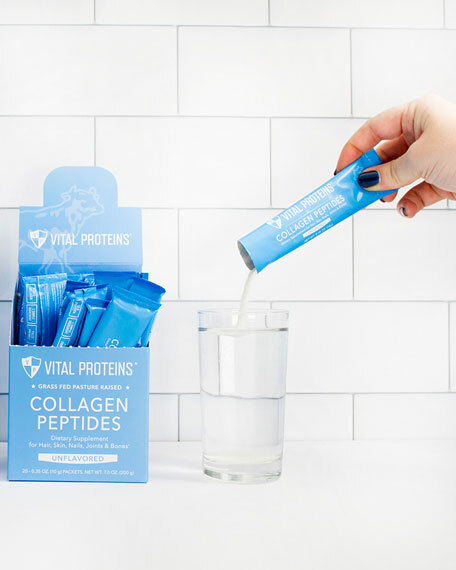 Our stick packs allow you to take all the beauty and wellness benefits of collagen with you on the go, making it easy to infuse your soups, drinks, and snacks with collagen protein. 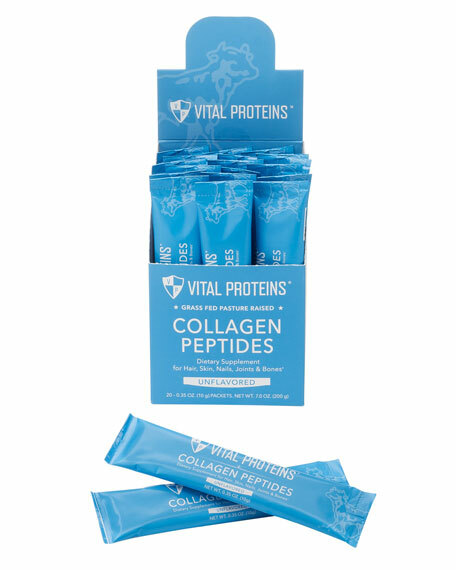 Our Collagen Peptides, sourced from only the highest-quality sources, are made simple to take with you on the go with our new stick packs. Bioavailable: Easily digested and absorbed by the body. Easy to use: Flavorless, odorless, and soluble in hot or cold liquids, including coffee, smoothies and baked goods. 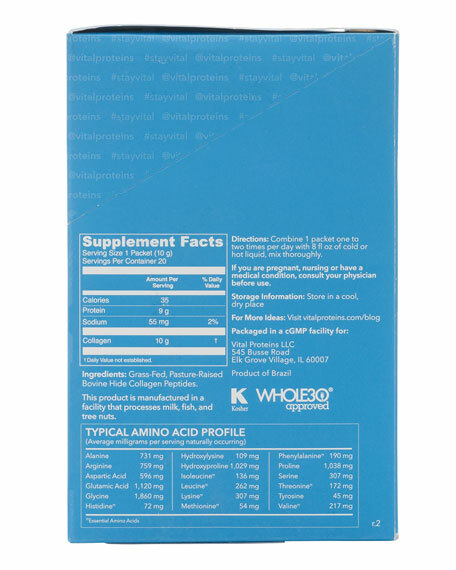 About Vital Proteins: Vital Proteins helps people feel better and live fuller lives through whole food-based nutrition. It's our goal to help you feel your best, give your best, and look your best. 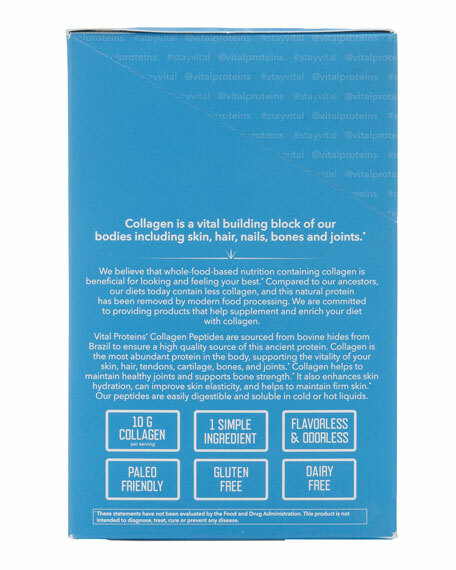 We believe in the power of collagen, and we offer whole food-based protein supplements that promote healthy hair, skin, nails, bones and joints. Our collagen is sourced from sustainably sourced non-GMO fish and grass-fed, pasture-raised bovine from New Zealand and Brazil. Formulated with a high concentration of soluble collagen to prevent aging. Woodmallow, used for its softening action, enhances the effectiveness of collagen and soothes tired skin. Minimizes the appearance of fine lines and wrinkles. Promotes a firmer, more youthful look. For all skin types.